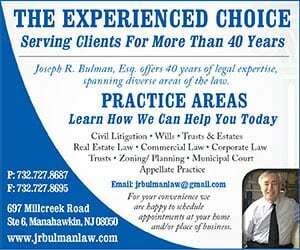 NEW JERSEY – Do you have a shed full of dignified junk? 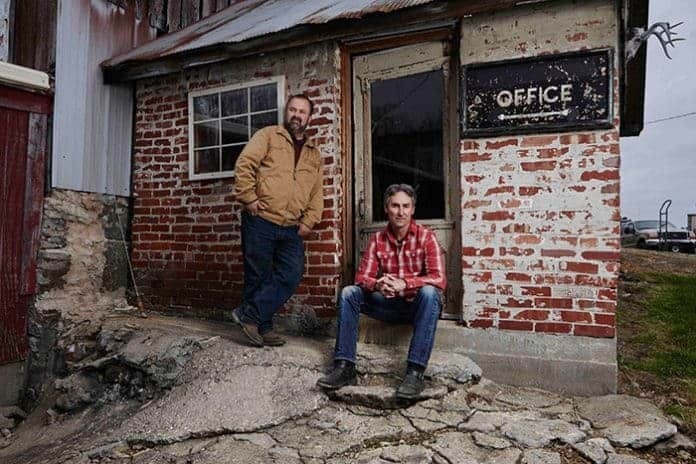 Now might be the perfect time to dust it off, as Mike Wolfe, Frank Fritz and the rest of the team from the hit show American Pickers gears up to film episodes of the series in New Jersey this September. 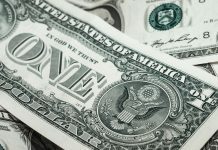 The History channel documentary series explores the world of antique “picking” as Mike and Frank travel across the country to hunt for America’s most valuable relics, learning the unique stories behind them as they go. The pair aims to give these forgotten antiques, often tossed aside in people’s sheds or garages, new meaning, while learning about America’s past along the way. 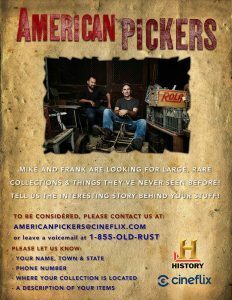 American Pickers is looking for people to be featured in the show and would love to explore the hidden treasures of local New Jerseyans. If you or someone you know has a collection of antiques that the Pickers can spend the day (or an episode) sorting through, send your name, phone number, location and a description of the items with photos to americanpickers@cineflix.com or call 855-OLD-RUST. 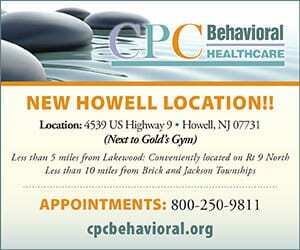 Find the show on Facebook at @GotAPick.